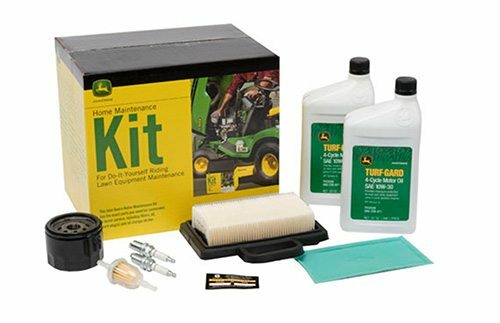 If you’re new to the world of lawn tractor ownership, you might be surprised by all of the little things that you need to do for a lawn tractor in the spring time to keep it running efficiently, or running at all in some cases. 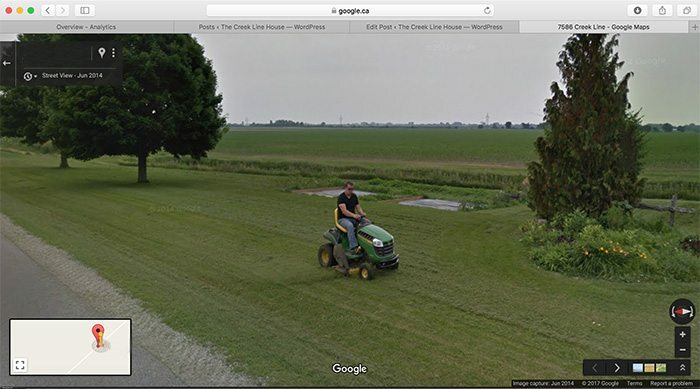 Ride-on lawn mowers are quite different than the push lawn mowers that you use when you just need to cut a little lawn in the city and we had a few very interesting learning moments our first year out here on our bigger property. True story: In the spring, after our first winter here in this house, we went to start up our lawn tractor and it just wouldn’t go. Not a single sign of life at all. Of course anyone who’s had a lawn tractor for at least a year or two knows that this is because we didn’t take out the battery and drain the fuel in the fall, but we just didn’t realize that those were things that needed to be done. So we went out and (unnecessarily) bought a whole brand new lawn tractor. I’m not even joking. That was an expensive little mistake but sometimes that’s just the price of experience! 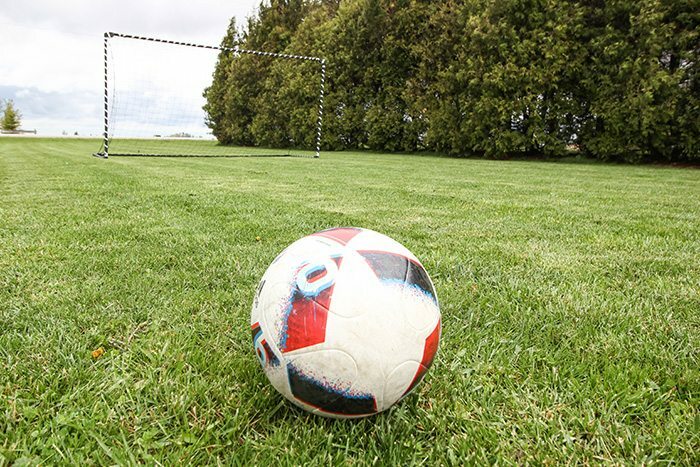 Of course, after that incident we did our research and over the last few years we’ve learned what we did wrong, what to do instead, and even a few extra things that really help our lawn mower perform really well all throughout our long and busy lawn-cutting season. Remove your battery from storage (batteries should always be stored during winter months in a consistent cool, dry environment away from combustibles) and replace, be sure to secure the lugs properly. Replace spark plugs. Spark plugs are inexpensive and should be replaced once per season (or per ~25 hours of use). Worn or dirty spark plugs will increase fuel consumption and damage other engine components. Replace your engine air filter and air pre-cleaner. Just like your vehicle, a clean engine air filter should be maintained at all times. Check the oil: ensure adequate level and clarity. Oil may need to be changed every 25-50 hours of operation. Check tire pressure. Refer to manufacturers guideline for pressure requirements. Under-pressurized tires can increase fuel consumption and diminish performance. Remove any fuel from last season and change fuel filter (any gas should have be drained or burnt off prior to winter storage). Settled gas can decrease performance and damage the engine. Depending on where you live, you may be just starting to think about getting your lawn tractor out for the season, or you may have already had it out and working for months now. 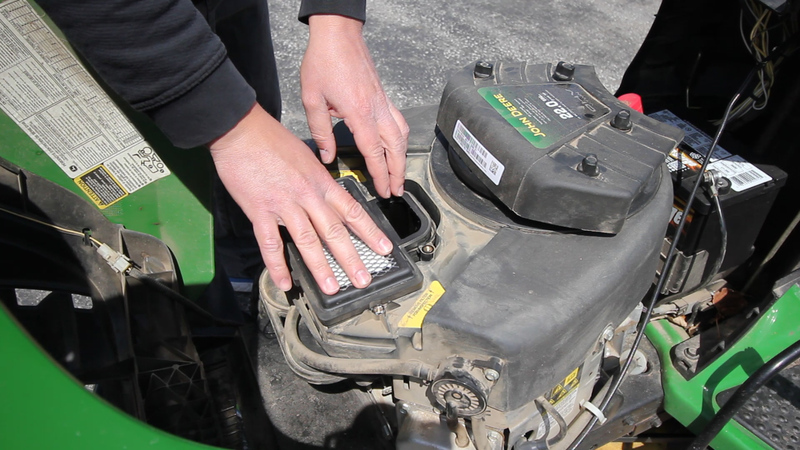 Either way, it’s always good to brush up on your lawn tractor maintenance and at least this way you’ll know what to keep in mind for next year and for the end of this season. 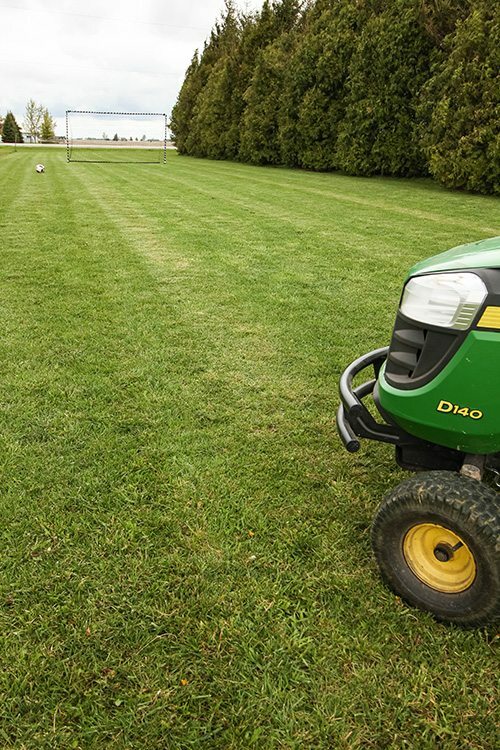 What surprising things did you learn about taking care of your lawn tractor when you first started using one? Very helpful tips! Although this reminds me that we really need to dig ours out and cut the grass this week, ha!